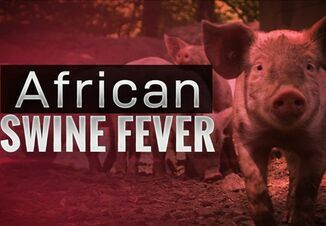 Pigs from the central Alberta farm reporting the province’s first outbreak of porcine epidemic diarrhea (PED) virus might be sent to market in the U.S., the Calgary Herald reports. The move would help calm fears of Canadian farmers and reduce the potential spread of the disease, officials say. So far none of the 400-head hog operation have left the farm, but industry officials say they are working to develop a plan for how to sell the surviving animals after the disease runs its course. While PED is fatal to young pigs, older animals typically make a full recovery. Since PED is new to Alberta, Darcy Fitzgerald, executive director of Alberta Pork, said its unlikely a slaughter facility in the province would accept the animals. 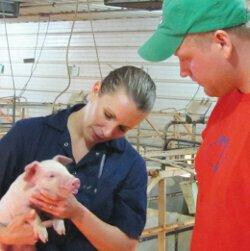 Other hog farmers in the area are leery of contaminated animals entering local facilities. The U.S. is more familiar with the disease, after PED outbreaks in 2013 and 2014, and some slaughter facilities do accept “PED-positive” pigs. Before pigs are moved, officials stress, the animals will need to be certified healthy by a veterinarian, as well as inform USDA and border control officials. An investigation into the source of the Alberta PED outbreak continues, as no other cases have been found in the province. 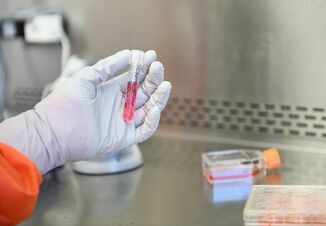 Since the disease was confirmed Jan. 8, all pig traffic in and out of the affected farm has been traced and environmental surveillance testing from high-traffic pig sites in Alberta, such as assembly sites, processing plants and truck washes, have been negative. PED poses no risk to human health and pork products remain safe for consumption.